We live in a time when mobile phones have become an indispensable part of our daily lives. We rely on them for communication, information and entertainment. It has become perfectly normal to take our phones everywhere with us, even when we on an adventure. 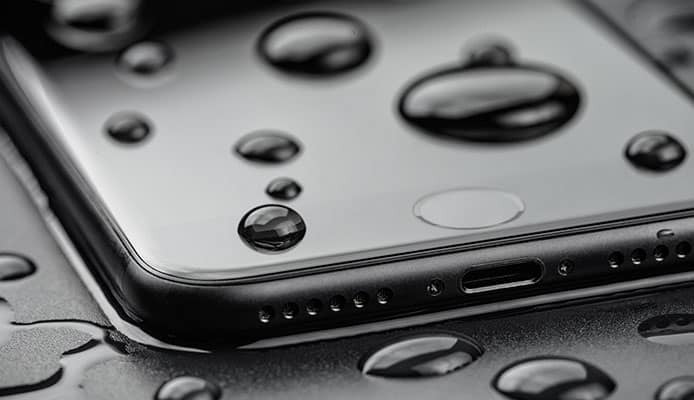 However, there is a larger chance your phone will get damaged in these situations – either by falling to the ground or even worse, by getting wet. Sure, some devices are waterproof on their own, and you probably own and use some type of phone case or carry a waterproof duffel bag with you. However, this isn’t going to be enough in some situations, especially if you want to take your phone when going swimming or taking part in a watersport. For this reason, we are discussing the best waterproof phone cases so you can get the best possible protection, and have a peace of mind knowing nothing is going to happen. Also, we’ve compiled a buying guide to give you some insight into different types and features of waterproof mobile phone cases, so don’t miss out. We start off with a great product from Ounne. It’s a fitted case, compatible with iPhones 7 Plus and 8 Plus. 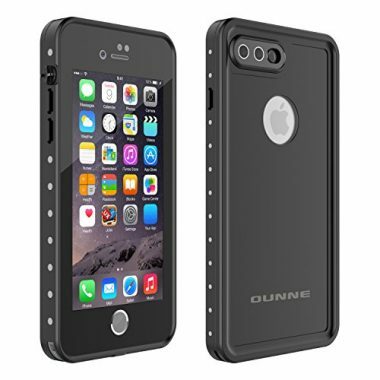 It’s fully sealed and has thick bumpers so it protects your phone form water, snow, dirt, dust or shock. 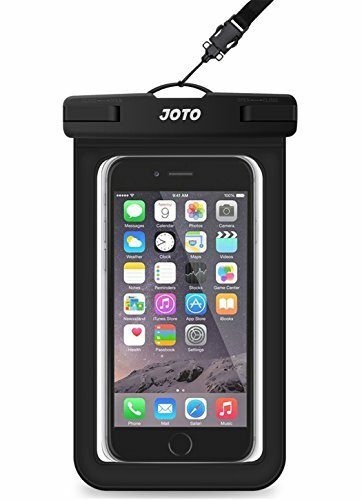 It has IP68 rating which means you can safely submerge it to 6.6ft for one hour. In addition, you can drop it from a height of 6.6ft and the phone won’t suffer any damage. Everything is made of high-quality TPU material. The front screen is perfectly clear, as well as camera covers. In addition, the material used is scratch-proof. The fit on your phone is very tight, meaning you won’t have any air bubbles left inside. Despite it being very sturdy, the case doesn’t interfere with phone signal or sound. The design is very fashionable, and as a bonus you get a lanyard, a cleaning cloth and a user manual so you can easily adjust everything. It’s truly a high quality product, and probably one of the best waterproof iPhone cases on the market right now, especially given the price. This universal phone pouch is compatible with a large number of phones. The size limit is 6.5 inches, and you can pack any type of phone you have as long as it doesn’t exceed it. 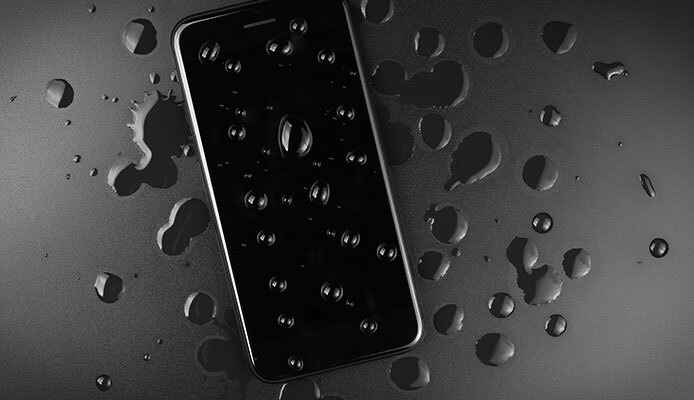 The case is IPX8 certified, meaning it’s fully waterproof and submersible. It’s an excellent choice for any type of water adventure – doesn’t matter if you’re going kayaking or snorkeling. The material used is fully transparent, so your cameras won’t be blocked. Furthermore, the touchscreen remains sensitive so you can use it underwater too. As a bonus, you can use this case to safekeep other items too – such as credit cards, documents or money (as long as there is some space left inside). Using it is pretty simple – you insert the phone through the opening on top, and then snap and lock the closure. It works really well, and the manufacturer gives you an 18-month warranty on the product in case it malfunctions. Finally, this package is a 2-pack, so you can give one case to your friend or family member. Here we have one more universal case with a slightly different design. This one is made for phones with diagonal of up to 6 inches. It’s a very popular product among users because of its price and reliability. You can choose among many colors, which is a plus. The frame around the phone is colored, while front and back windows are crystal clear so you can use the phone without obstructions. This case has IPX8 rating, so you know your precious device is going to be safe inside. You can splash water on it or submerge it – there will be no leakage. It’s a safe place to keep your phone when fishing or simply enjoying a beach picnic. The closure is secure, with a snap that locks the bag. In addition, you get a neck strap included in the package. If you’re looking for a budget-friendly option, this is the product for you. 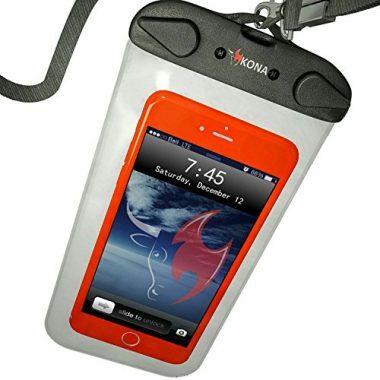 This iPhone case is very versatile, since it protects your phone from water, dirt and shocks. It’s a precisely fitted product, and you can only use it with iPhone 7 or 8 (regular versions). It’s made to comply with IP68 rating which guarantees a high level of protection – up to 6.6ft for 2 hours. If you still don’t own a waterproof watch, your phone combined with this case will be an excellent replacement. All buttons are fully functional, and front cover is transparent. When it comes to back panel, you have two color choices – black and transparent. As a plus, both covers can be safely removed if you only require shock protection. Material of choice is high-grade TPU, so you don’t have to worry about potential damage, even scratches. Finally, the package comes with a lanyard, a cleaning cloth and an instruction manual. It’s a good value for money, and will be very helpful next time you go surfing or enjoy other activities which include getting wet. FriEQ brings us an excellent waterproof pouch at a very competitive price. It’s very lightweight and simple to use. It comes with IPX8 certification, and it’s tested to be reliable by numerous users. The seal around the device is very secure. Not a drop of water will come inside even if you take this phone deeper to take a picture of a nice reef on your scuba diving holiday. The lock mechanism is very easy to use, and won’t waste your time. The case comes with a neck strap which has a carabiner so you can attach or detach the strap easily. Windows on both sides are transparent, and your touchscreen remains functional. All in all, it’s an excellent product for those of you who don’t have any special requirements when choosing a case. The Submariner pouch is a great universal case which will fit all phones up to 6.3 inches in length (regular size). You also have an extra-large version available if you own a larger device. It’s made of heavy-duty materials. Compared to other waterproof pouches, it has a stronger welded seam. The closure is also designed differently and gives you a perfect seal. Manufacturer claims their product will remain secure for up to 100ft of depth. This allows you to easily track your exercise and pair your phone instantly with a waterproof fitbit. In addition, you can make this case buoyant – just trap some air inside before you close it. It’s very user friendly, since you have easy access to all controls. Finally, this product comes with a 5-year replacement period. LifeProof is a well-know case manufacturer, so you can expect this case to be great. However, keep in mind that it is designed specially for iPhone 6, so you won’t be able to use it with any other phone. The design is very sleek, and the case doesn’t feel bulky when holding it. 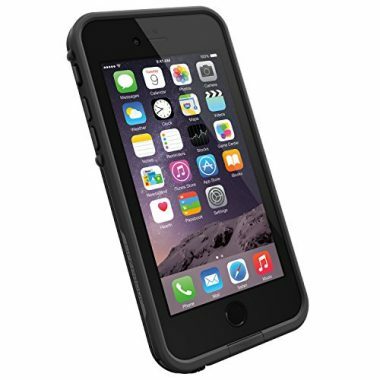 It meets IP68 protection rating, meaning you can use it for up to 1 hour at a depth of 6.6ft. What separates it from many others is that you have access to the micro USB port through a sealed opening, so you can charge the phone without taking the case off, even with a solar charger while on the go. Of course, you have full button access too. 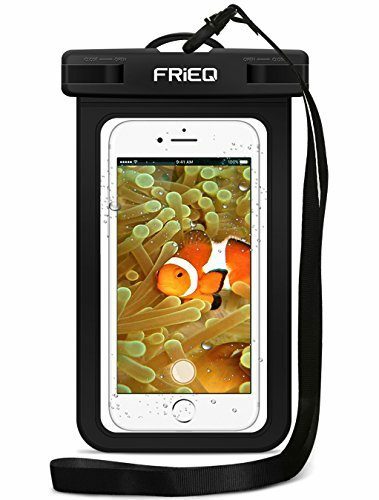 Even though it costs more compared to others, this top rated waterproof iPhone case will give you top-notch performance and protection. The Ace Teah waterproof pouch provides complete protection to any phone with a diagonal under 6”. It has IPX8 rating, so you can safely submerge it. The windows are transparent and only 0.3mm thick so you can easily operate the touch screen. There is a dual swivel lock on top which seals the whole pouch and keeps the water from getting in. This is a 2-pack, meaning you get two pouches for this price. You have a color choice – a black and white combo, or blue and green. In addition, each pouch comes with a neck strap which is very handy. 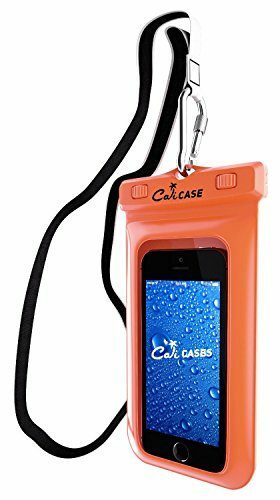 This product from CaliCase universally fits a large number of phones. It’s made of high-quality double-layer PVC for added security, along with IPX8 waterproof rating. In addition, it’s designed in such a way that it floats, so you don’t have to worry your phone will sink if you accidentally drop it. As a bonus, it comes with a lanyard too. Windows are completely clear and it’s very easy to take photos and videos when using this case. The manufacturer gives you a lifetime warranty, and you even get a 30-day money-back guarantee if you dislike the product. This can assure you that it is in fact a reliable and durable case which will keep you phone safe in any situation. In addition, you have a choice of 15 colors to pick from, so your new case is stylish as well. 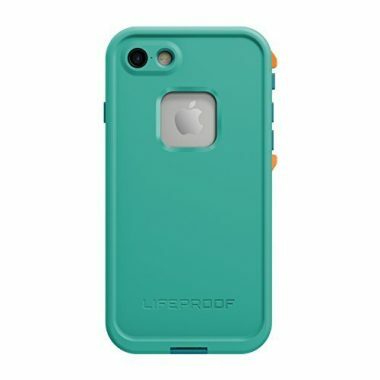 Here we have one more product from LifeProof, and this one is designed specially for iPhone 8. 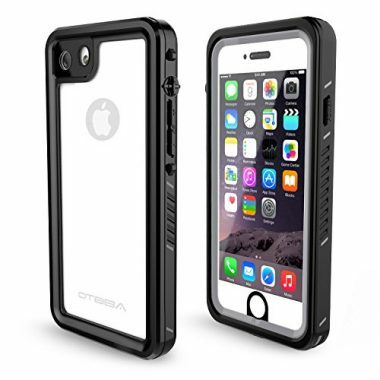 It’s a very tough case which gives great water and shock protection. It’s designed and manufactured to comply with IP68 waterproof standard. The case has a snug fit, and you have direct access to every button on your phone. Like the previous LifeProof product we talked about, this one also has a sealed USB port which you can use without taking the whole case off. It does feel a bit bulky in the beginning, but you get used to it quickly, especially when you know your phone has complete protection. In fact, it’s probably one of the best waterproof iPhone cases out there in terms of strength and reliability. Finally, you have 6 colors combinations to choose from so your new case looks nice too. Choosing a good waterproof cell phone case shouldn’t be that difficult. The first and most important thing is that it’s reliable – there shouldn’t be a drop of water inside as long as you use it as the manufacturer intended. Bad products can cause serious damage to your phone, and repairs are usually very costly, so think ahead and get a reliable case. In addition, it’s nice if the case allows full functionality of your phone so you can use the touchscreen, cameras and side buttons. Furthermore, some products come with nice additions which improve user experience. Take a look. No matter which phone you have, you’ll be able to find a waterproof case that suits it. Of course, it makes sense that there is the largest choice for most popular brands, such as iPhone or Samsung devices. 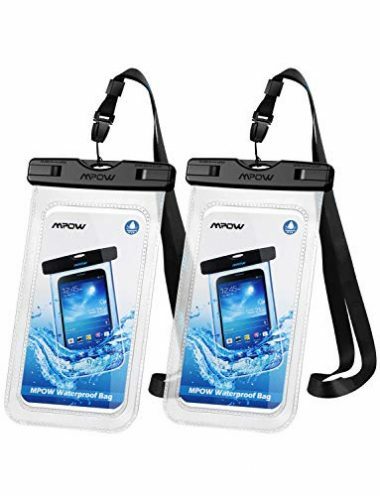 There are two basic types of waterproof cases on the market – fitted cases specially designed for one model, and universal pouches with a locking mechanism. Fitted cases are precisely sized to fit one phone model, and you won’t be able to put any other phone in. The fit is snug which ensures excellent protection, even shock absorption if you happen to drop your phone. You will often have access to all the buttons, as they are very user friendly. However, this type of waterproof case is more expensive on average. On the other hand, waterproof phone pouches are universally sized. They have a size limit (for example, a diagonal of 6.5 inches), but other than that you can keep any phone inside. Access to controls is a bit different, since side buttons are sometimes harder to reach. However, the touchscreen is usually fully functional so you can easily navigate through menus and take photos and videos. There is one additional upside to pouches – if you have some space left, you can use it to keep other things inside too, like credit cards, money or documents. You should know that pouches come in several sizes too, so you will probably be able to find the right one even if you have a large phone. Keep in mind that you will sometimes need to take the protective case off your phone, so your device can fit inside the pouch. When it comes to weight, waterproof cases usually don’t add a significant amount of it, so this shouldn’t be a problem. However, depending on materials used, some can be a bit heavier. On the other hand, these cases add bulk to the phone (especially if you’re using a fitted case), and it will take some time getting used to. Functionality of your new waterproof case is very important. It’s not just about protecting your phone, but allowing you to use it too. This is why the best waterproof phone cases have clear, transparent panels on both sides. This allows you to see and use the touchscreen without trouble. Furthermore, cameras are not obstructed, so you can take clear photos without them being blurry from the case. Like we mentioned earlier, it’s very useful if you have full access to the buttons on your phone, and at some point this may become necessary too. At a certain depth your touchscreen will stop working because of increased pressure, so it’s good if you can use volume control to take photos. In addition to this, there are a few more things that can improve the ease of use. For example, some cases are buoyant. 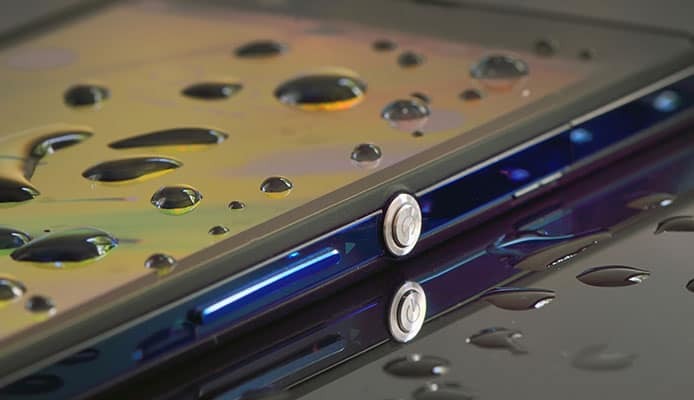 This means that if you accidentally drop your phone in the water, it will float instead of sinking to the bottom, which is obviously very useful. If this is not the case, then it’s a big plus if your case comes with a lanyard so you can wrap it around your wrist when using it, and prevent accidents. Waterproof cases are made to be used over and over again, so you should expect a certain level of durability. However, this all depends on a particular product. Price can be a good indicator of quality, but this is not always the case. 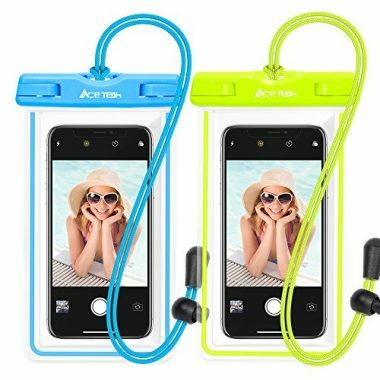 We featured some excellent products in our waterproof phone case reviews which also come at a more than reasonable price. Cases are usually made of TPU or PVC, but the quality varies from one product to the next. Some only have a weak thin layer, while other products have reinforcements and double-layered screens. A common problem with cases is that they often get scratched too quickly, which will annoy you since it obstructs the view and even makes your photos worse. A good idea is to go through user experiences and see what they had to say about a particular product, so you have some idea before buying. Bottom line, a high quality case should really last for a long time. Q: Are Waterproof Phone Cases Submersible? A: This depends on a particular product, but yes, most of them are submersible. Be sure to check the IP (Ingress Protection) rating on each and every case. This rating shows how deep you are allowed take your phone, and for how long it can safely remain there. Different products have different ratings, so pay attention when buying. However, these ratings won’t help you if you don’t close the case properly, so be careful. Q: Is There Some Guarantee That My Phone Won’t Get Wet? A: Like we said, the manufacturer will specify the IP rating of their product, and this should be a good guarantee as long as the manufacturer is reliable. However, phones are expensive devices and it’s smart to test the case yourself before putting the phone in. There are several ways to do this, but it’s probably the easiest with some paper tissues or cotton wool. You take a few pieces, place them inside, and close the case. Then you submerge it and leave it like that for a few hours. When you take it out, the content of the case should be dry. If that is the case, then you can have peace of mind that your phone will stay dry too. Q: Can I Use Waterproof Phone Cases For Underwater Photography? A: Absolutely! This is one of the main benefits of having a waterproof case in the first place. Be sure to pick a case with a transparent screen over the camera lens to get the best photos possible, otherwise they may come out blurry and you won’t be satisfied with the result. Q: How Deep Can I Bring My Phone With A Waterproof Phone Case? A: This depends on the waterproof (IP) rating your new case has. Like we discussed earlier, products come with different ratings and you can expect heavy-duty cases to cost more. Luckily, most of these cases will protect your phone when you go swimming for example. They allow you to take the phone 3-6 feet deep, which is enough for most users. Of course, there are products which remain sealed in much greater depths, so it all comes down to what you need. Waterproof cases for phones are a smart investment, because they allow you to take your phone with you literally anywhere. You can stay in touch and capture beautiful moments no matter where you are. Considering all the benefits they provide, they aren’t that expensive, so we think they are definitely worth the money. Give them a try, we’re sure you’ll be more than satisfied! Have you tried a waterproof phone case that made it onto our list? Which type did you get? How are you satisfied with protection? Is it easy to use? Please share your experience with us in the comment section below.